This is one I never had as a child, but wanted very badly! As you say, the figure had a very “deluxe” air about it, as did Thunder Punch He-Man. (I did have that one, and it was among my favorite figures.) 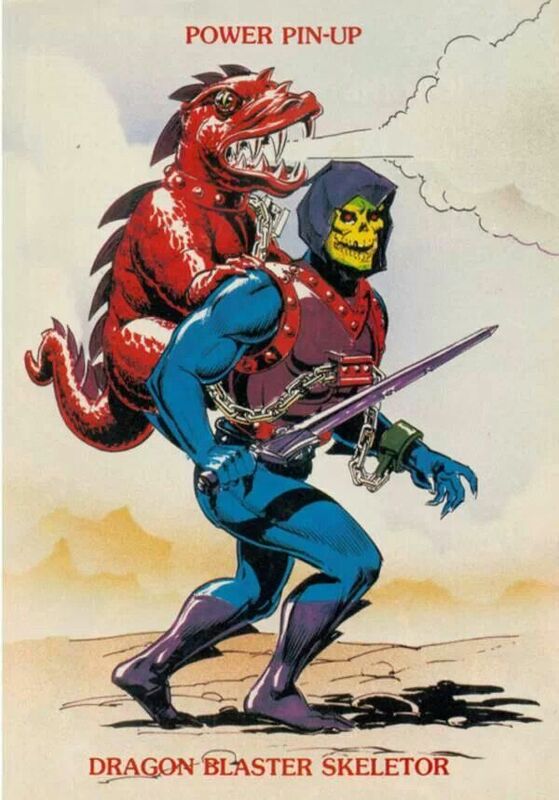 Something about Skeletor running around with a dragon clinging to his back is hilarious and awesome! I always felt this variant set was mismatched, though. 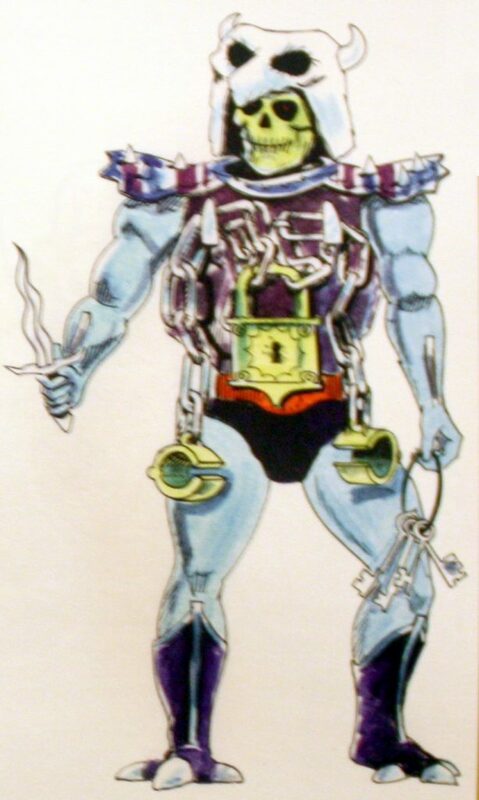 The other two pairs of Skeletor & He-Man variants were opposites with the same or similar augmentations. 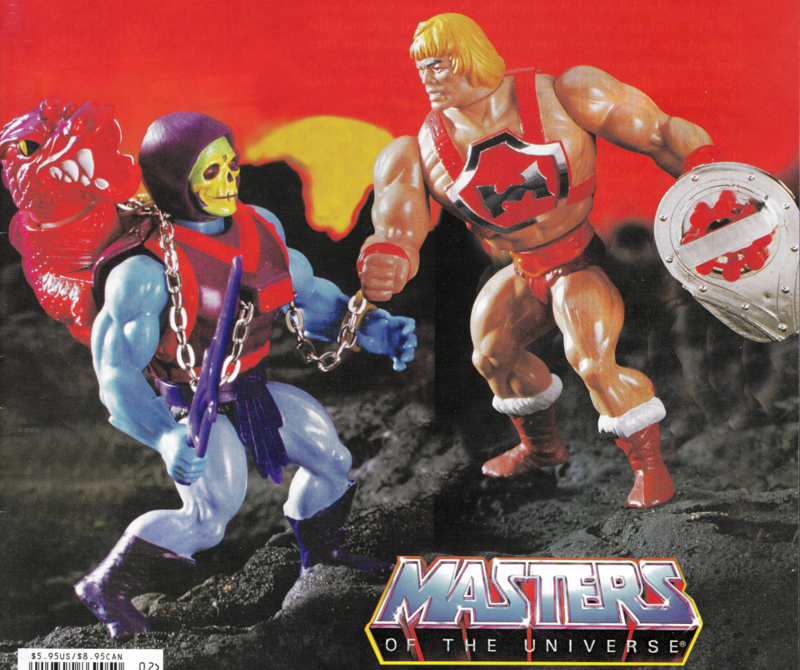 DB Skeletor and TP He-Man, on the other hand, seemed kinda random, and it made little sense in my chilhood mind to face them off against each other. 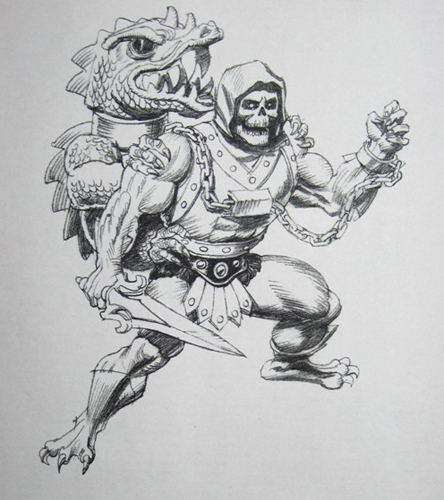 I’d like to see a similar He-Man variant with, I dunno… maybe a wolf? 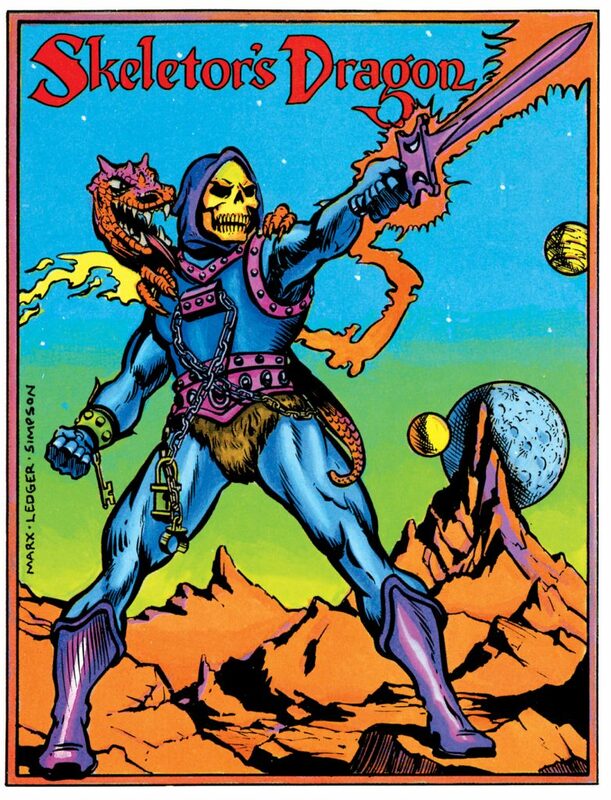 And to counter TP He-Man, hm… Groin Kick Skeletor! 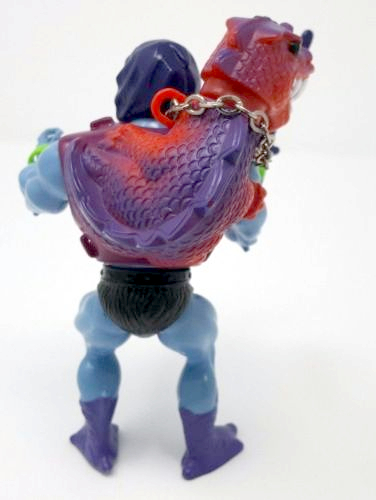 I remember being more impressed by Thunder Punch He-Man’s feature – caps are always more fun than squirting water. But you’re right, they don’t necessarily seem to go together. 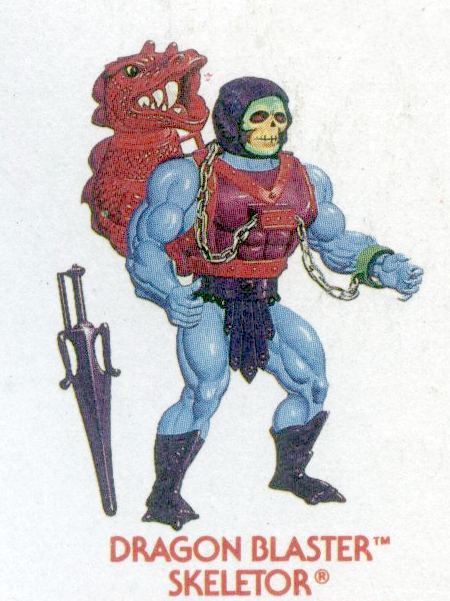 They did make a wolf He-Man in 2003, although it was just He-Man with a wolf pelt on his head! 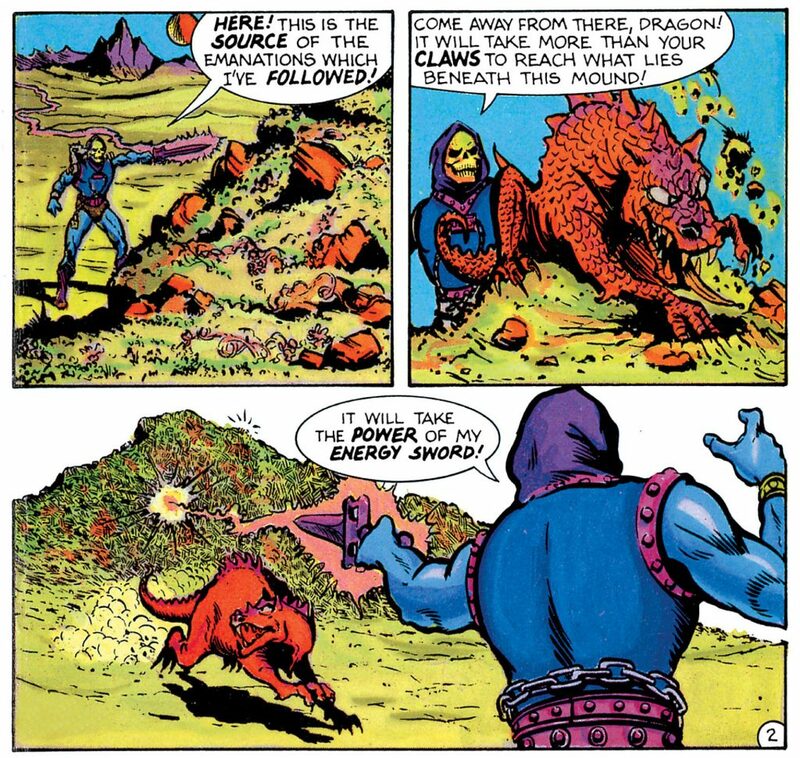 I see your point but personally I think that this choice make more sense that the Flying Fist and Terror Claws, for example, because the dragon blaster is suited for Skeletor combat style as the Thunder Punch is for He-Man’s. 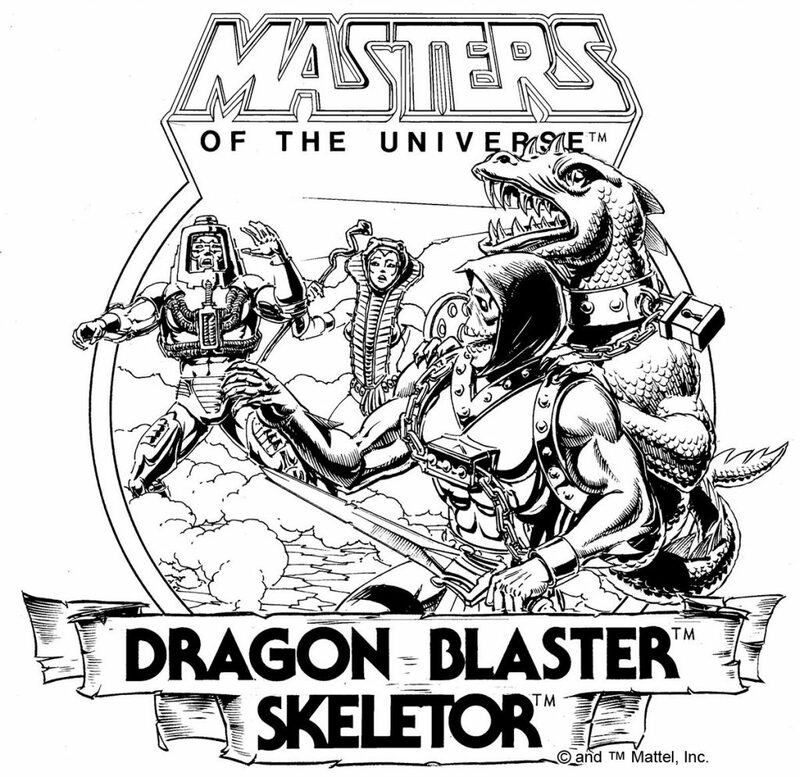 Skeletor is a sorcerer and therefore he fight from distance: the Dragon Blaster suits him well because with it he can neutralize enemies before they’d have the chance to engage him in melee combat. On the opposite side, He-Man is a strictly melee fighter so he got the TP. 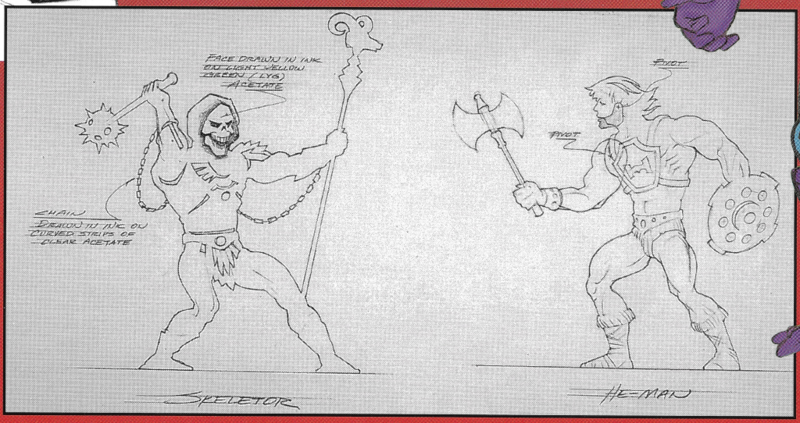 DarkAlex1978 – Interesting point, though I could easily imagine the caps feature having been adapted and well matched the Skeletor variant as well (a conjured up spell to scare enemies?) 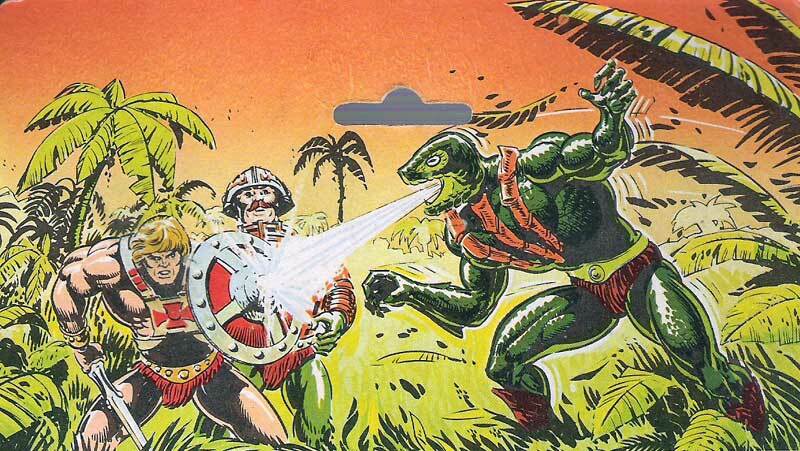 Likewise, whilst He-Man isn’t a sorcerer, the water feature could have been adapted and given a “heroic” spin (maybe for putting out fires, a la Snout Spout?). The pair do kinda seem mismatched in that all other variants in the line “match” each other. 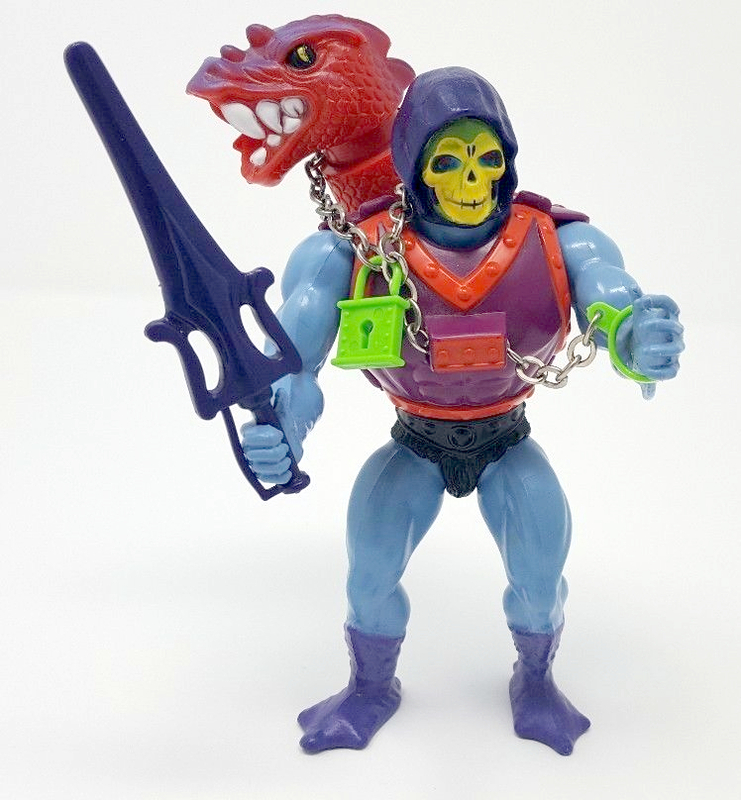 TC Skeletor was okay I guess, but personally I was never so bothered by variants as a kid. I might be been cooler if the dragon was removable, to also use as a separate character. P.j. Gathergood – Yes, it would be possible and the cap feature would fit Skeletor well… something like “Thunder Shout Skeletor”. This was a very informative post. 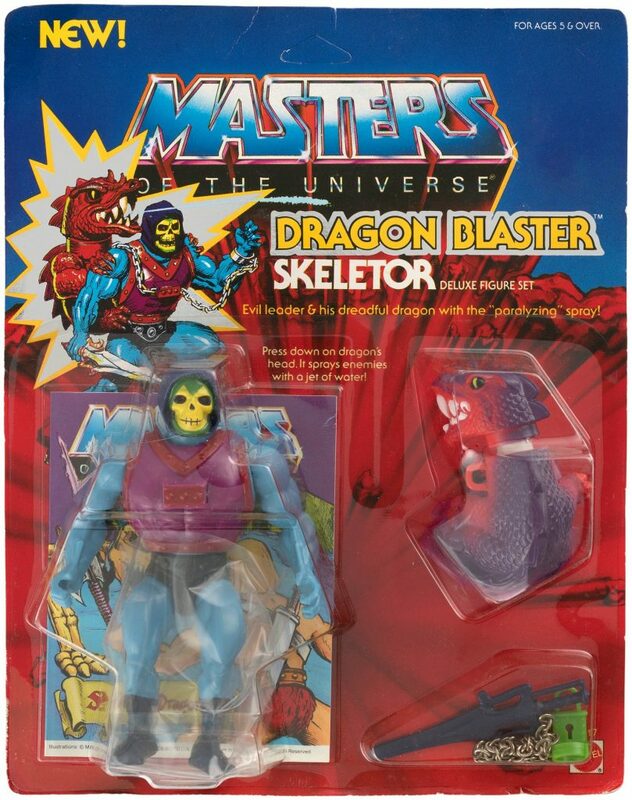 I never had Dragon Blaster Skeletor, but one of my close friends did. I always thought it was really cool. A lot of people still do, as it’s one of the more expensive figures. Even loose, and incomplete it nets more than the usual loose figure price. 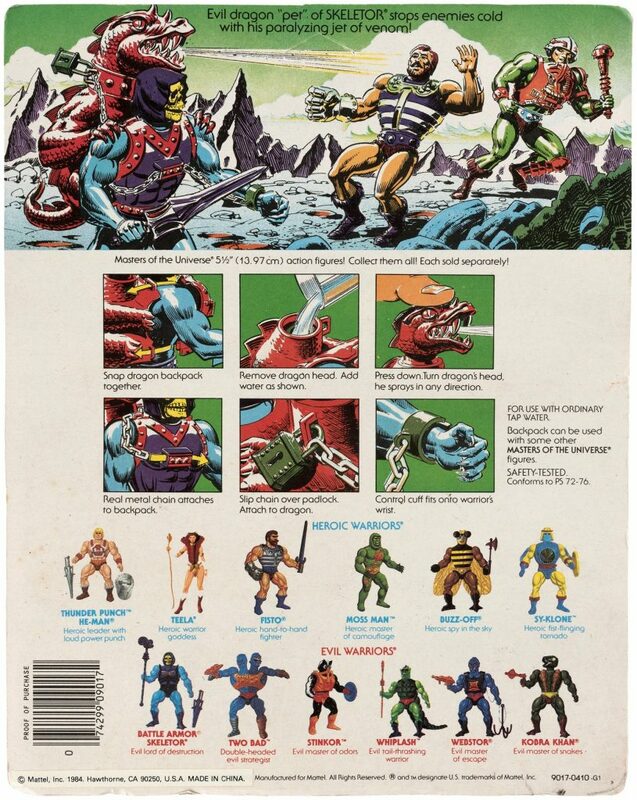 Glad I still have my carded Thunder Punch He-Man though! Thank you! 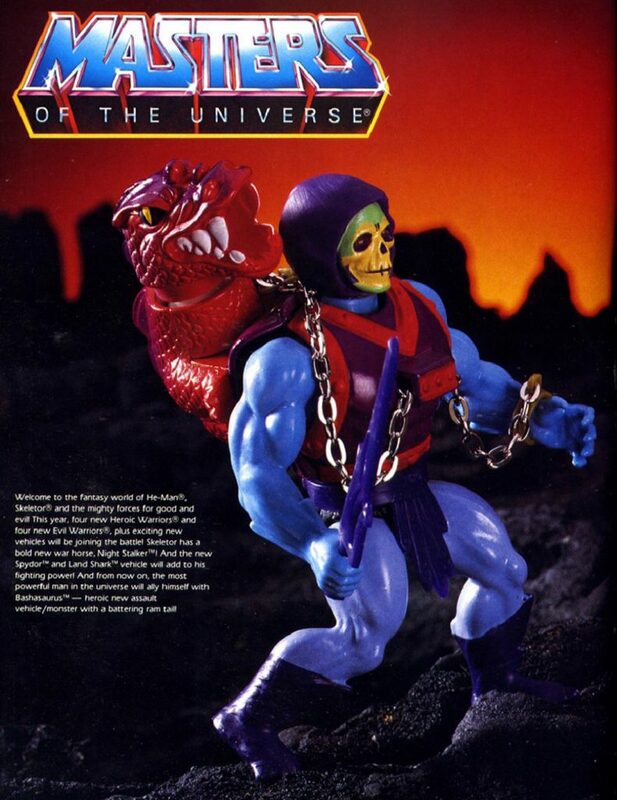 Yeah, it’s tough getting DB Skeletor complete with his chain accessory. I still need to complete mine! I have this variant and is pretty interesting but as you point up, Kobra Khan was already doing the same thing and better. However the figure had real chains: who could have resist? And the chain was also the first thing to disappear, as happened to me: bad toy design and ironically I think that somewhere in one of my spare part boxes I still have that stupid, useless green lock. 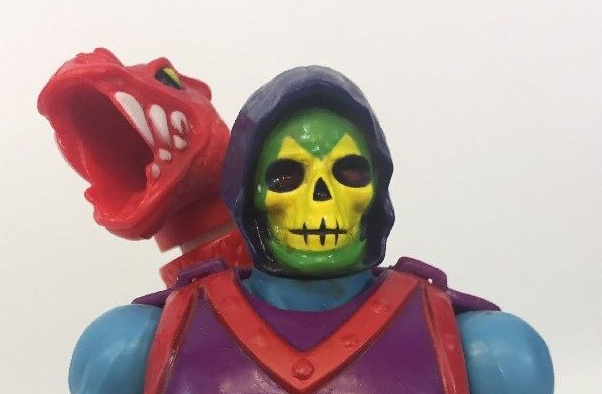 An interesting detail (at least on my copy/version: I don’t know if is common) is that his Power Sword is actually the He-Man’s one but casted in the usual Skeletor’s color (by the face paint design is the hong kong version). To bad that they cutted off the loincloth: the figure looks better with it. Interesting! I have the Mexico version, and it has the “female” version of the sword. It’s actually slightly shorter than the original Skeletor’s sword, though, and the plastic feels different. I took a picture of the sword. Yes, the plastic is different: slightly harder than the original sword and the color is darker. 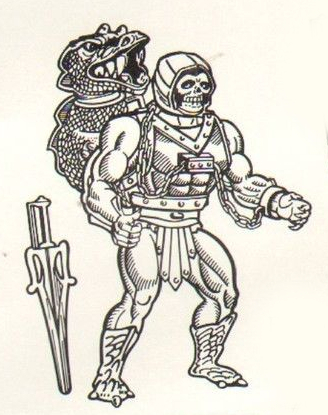 I never had a standard Skeletor; Battle Armor was my main Skelly. I did get this version eventually. I broke the armor, probably immediately, by constantly removing it so the dragon could crawl around on its own. My Dragon Blaster figure somehow inherited Faker’s armor so I had something close to the original. I guess I liked playing dress-up with my MOTUs, something that continues as I make custom figures today. Poor Skelly, think of all the back pain he must of suffered lugging that thing around. 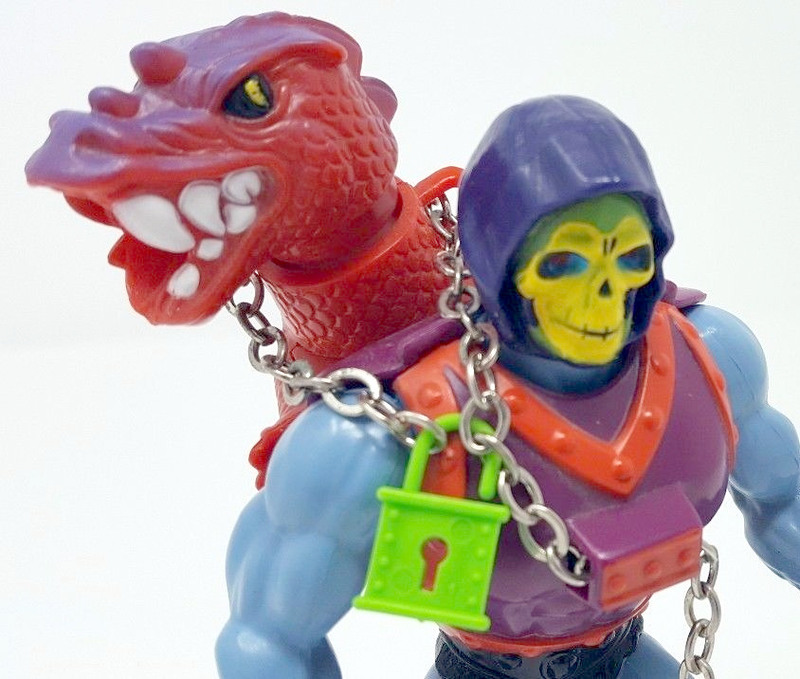 I remember getting Dragon Blast Skelly from our local Tescos. Their toy aisle was the stuff of legend and seemed to go on forever. They had special glass cabinets in each toy section with dioramas to show off the latest toys. 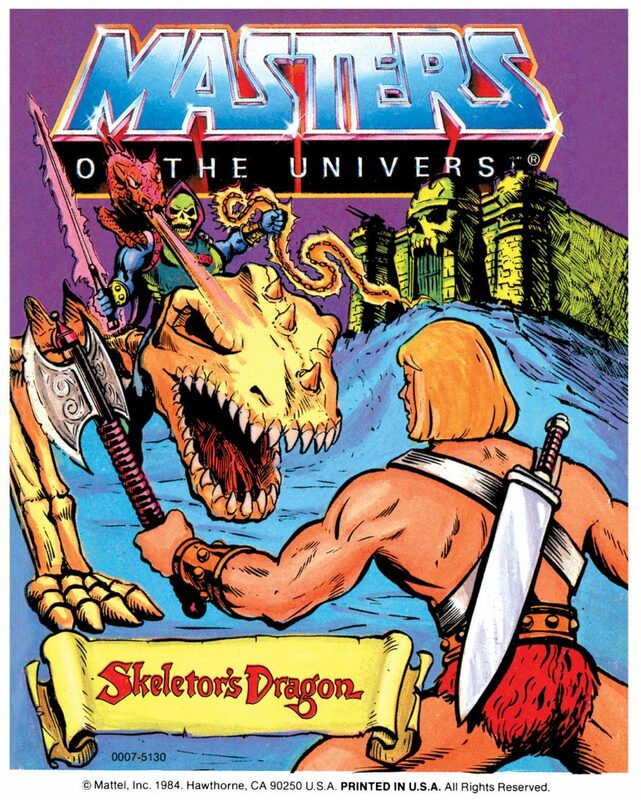 The Masters version had purple rocks with posed figures and vehicles to show em off, to me it looked a bit like snake mountain . I still shop there and allways think back to those days when ever im browsing the DVD’s which live were the toys used to be. Skelly took a brief break from back pain when he got his Terror Claws outfit, only to return to an even heavier backpack soon afterwards (Laser Light). Sad you don’t see those kinds of displays at toy stores today. great post! 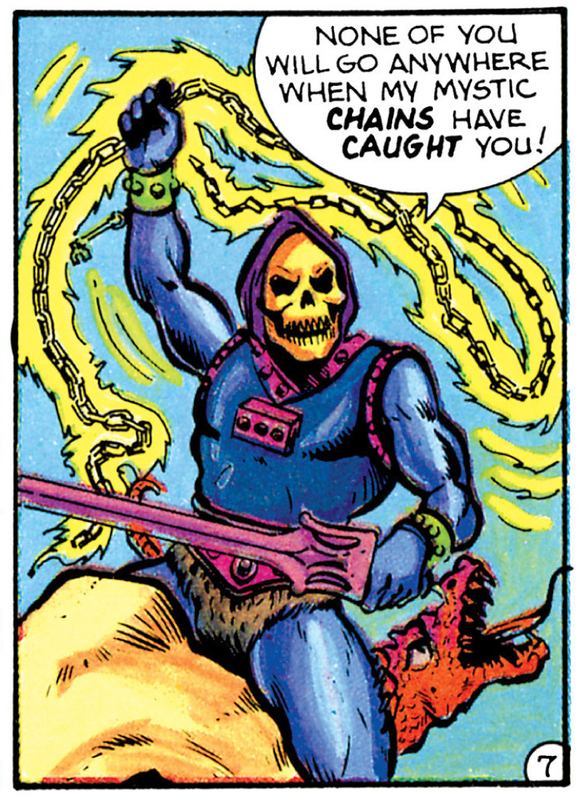 I’m surprised they couldn’t use non-flammable power because smoke & chains skeletor sounds awesome. 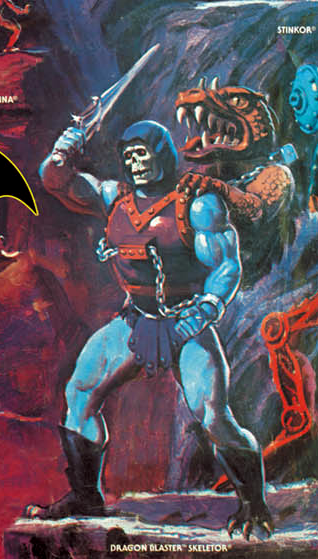 I’m going to get out my DB skeletor tonight, I don’t think I ever took the dragon off the armor. plus now i know it’s called a baltea. Thanks Peter, I really love your reviews! Feeling is mutual with your stuff!